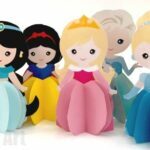 Finally… though I THOUGHT we had finished our 3d Paper Doll Princess series…. 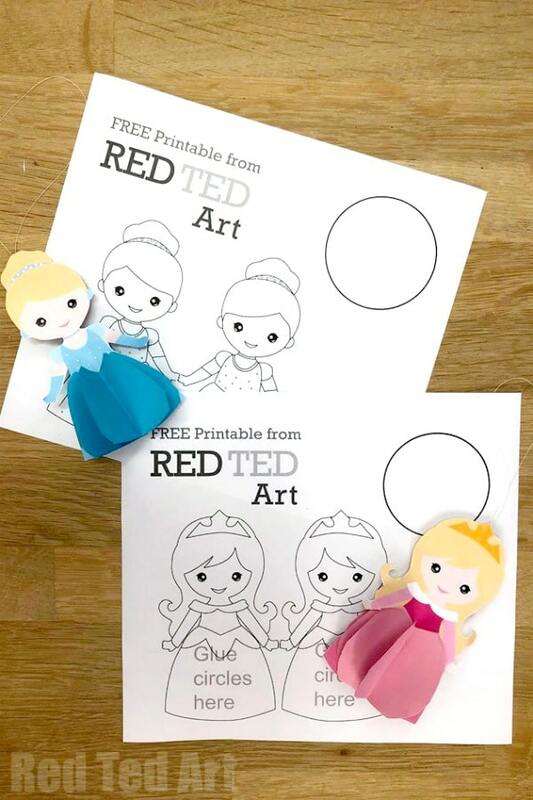 there was SO MUCH demand for “colour your own Princess paper doll”… that I managed to get two of them made for you! 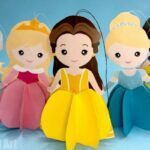 I transformed the Cinderella Paper Ornament and the Aurora Paper Ornament into Princess Paper Doll Colouring Pages for you. This will allow you to customise to your hearts desire – adjust the skin tones and dress colours and create whole new story lines!! I do hope you enjoy them!!! I hope you enjoy these set of new free printables! 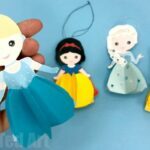 I have used the instructions for the Aurora Paper Doll. I hope that is ok!! Afterall, all you need to do first, is colour your dolls in! First colour in your colouring page in your desired colours! Print out your printable and get hold of some pink paper – or any coloured paper depending on how you want to decorate the skirt! 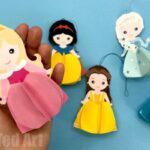 ROUGHLY cut out the two princesses – keep them CONNECTED, for easier gluing. 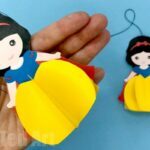 Fold the paper so that the two princesses are back to back. Hold against the light to align perfectly. Make a neat crease. 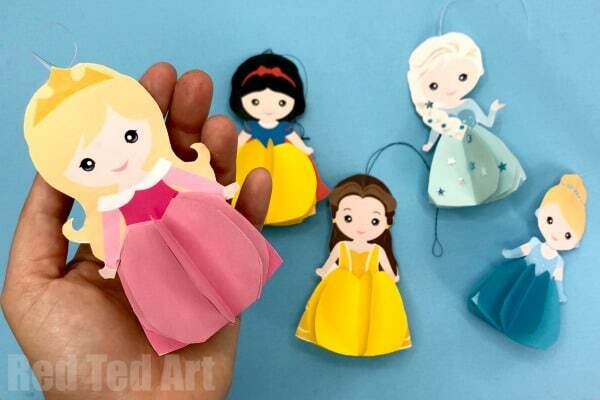 Cut out the princess outline as neatly as possible (do not accidentally cut the hanging thread off). 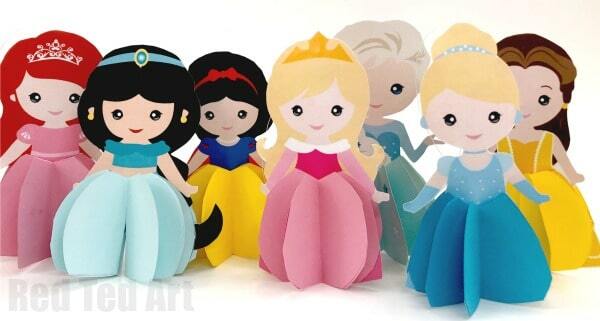 Take one set of 4 half circles and place on top of your Princess paper doll. 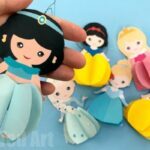 Glue down a set of 4 circles in each side of the Princess Ornament. Trime the bottom of all the circles to align with Princess skirt. FINISHED! 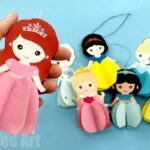 You now have your own customised Princess Paper Ornament or 3d Princess Paper Doll!! Thankyou! I loved these decorations but don’t have a colour printer so I dismissed it as an activity. 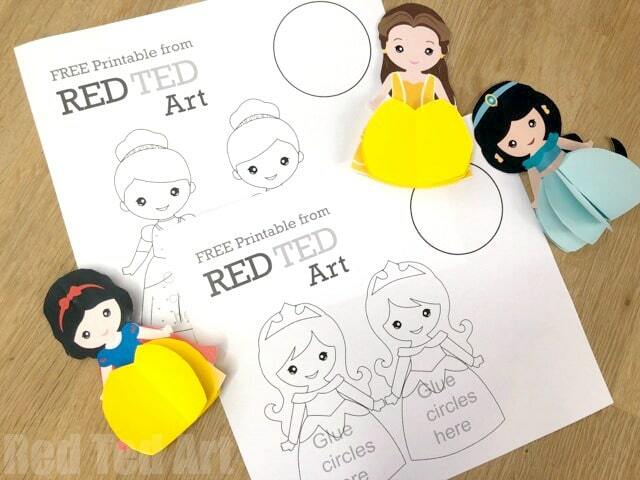 My girls are going to be so excited now to colour these in and make them! Awww so happy to hear that!! Please do share any photos with me!! Not sure of the best way to share reader projects with you but I put a picture up on Instagram. https://www.instagram.com/p/BqYYAc7HkOw/ My 4 yo did the colouring and the gluing and I helped out with the cutting. 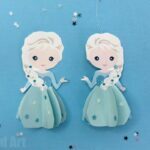 We had lots of fun and my daughter wants them for her next “princess” birthday party as well! Awwww that is wonderful! Thank you SO MUCH for sharing it!